I don’t play the lottery that often, as I tend to agree that it’s a tax on the poor. It also isn’t very good odds if you consider it’s a form of gambling. I also take issue with the fact that most governments decide that gambling is a sin, or a vice, unless they are the ones running and profiting from it. 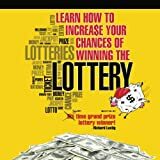 In spite of those feelings, once a jackpot gets to be so large, that winning it would effectively allow a person, in this case I’m talking about myself, to tell everyone else off, then I begin to want to buy a ticket. I still know that I won’t win but the logic of “you can’t win it, if you aren’t in it” starts to take hold of my thoughts and reasoning. The last ticket I bought cost $4 and was for two numbers in the drawing over the weekend that offered a 900 Million dollar jackpot. No body won the grand prize so this Wednesday’s jackpot is up to 1.5 Billion, and is reported to be the largest in the US’s history. I bought a ticket with 20 numbers picked, and also added the Powerplay option, which increases payouts for prizes awarded below the jackpot, for an additional $1 per number. My total cost was $30 and it’s by far the most I have ever spent on a single lottery drawing. It seems like only 4 days between the last drawing, when the website 404’d until the one today wouldn’t be enough to fix the problem, but it might depend on whether the architecture used by the Florida Lottery folks is virtualized and scaleable. To tell the truth, I’ve not got my hopes up about either winning the jackpot or about the Florida Lottery’s website being able to do any better after the drawing tonight. Either way I’ve got two things to wait until after 10 o’clock to see what happens. It looks like they did make a change to the website and have it only showing winning numbers, and other than a message acknowledging the heavy site traffic have removed the other functionality it usually has. I’m going to assume this was the best option for such a short time, and if you think about it, once this large jackpot is awarded things should go back to normal. Let’s see how this works after the drawing. So like a a lot of people in Florida, I bought a ticket for this large 900 million dollar Powerball Jackpot. I was going to the Florida Lottery website to check for the winning Powerball numbers around 11:41 p.m. and the website just won’t load. 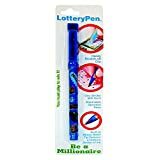 Lottery Pen, Lottery Ticket Pen, Marker with Scratch Off Card Remover, Scratch-Off Ticket Lottery Pen, Lottery Scratchier, Scratchier Free Lottery Pen - Special Nib for Card Marking. I get error messages and my guess is it’s being crushed by the volume of people trying to see if they if they won. I’m guessing this is an all time high volume of web hits for most of the websites that would have posted the winning Powerball number. I hope they have their IT staff look and figure out how to prevent this from happening in the future.